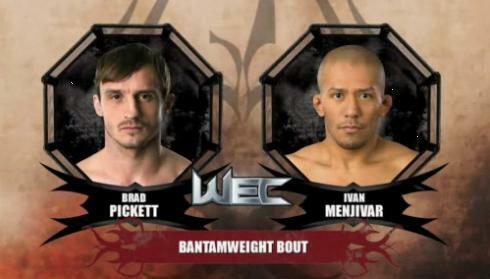 Brad Pickett vs. Ivan Menjivar was one of the WEC 53 preliminary fights that we did not get to see live on Versus on Dec. 16. Thankfully, Versus has made the fight available for us online. This was the final WEC fight card ever. Enjoy.